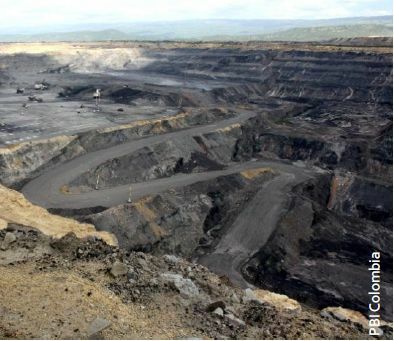 The non-governmental organisations (NGO) and individuals that sign this letter, in exercise of the universal principle of direct democracy and in our duty to monitor the multiple impacts generated by multinational corporations, have during the past four years been monitoring and following up on the impacts of the mining activities in Colombia of the Swiss corporation, Glencore International PLC. In the last four years of monitoring, we have found a great deal of evidence concerning the impacts of the mining operations of Glencore in Colombia, many of which have not been mentioned, recognised or monitored by this Company in their sustainability reports, audits, independent reports, ratings in stock markets and public corporate presentations. This is despite numerous commitments made by the company in its code of conduct, other company standards and initiatives where the company participates. Your will find in the attachment a document with the evidences regarding the lack of a register, monitoring and appropriate corporate actions in relation to important human rights abuses committed by members of the military unit that provides security to the Company’s operations in the Cesar department (Colombia), from 2006 until today. This also evidences poor risk assessment processes, given that the company does not appear to have implemented essential mechanisms like i) a human rights register and ii) conflict analysis, as outlined in the Voluntary Principles. This suggests a lack of awareness of the regional human rights context where the Company operates.